The Boy Scouts will place bags at homes on Saturday November 3 and will return to pick up bags on Saturday November 10, 2018 Boy Scout bags in Lincoln Parish will benefit Christian Community Action. Please call (318) 251-3282 for questions you may have. 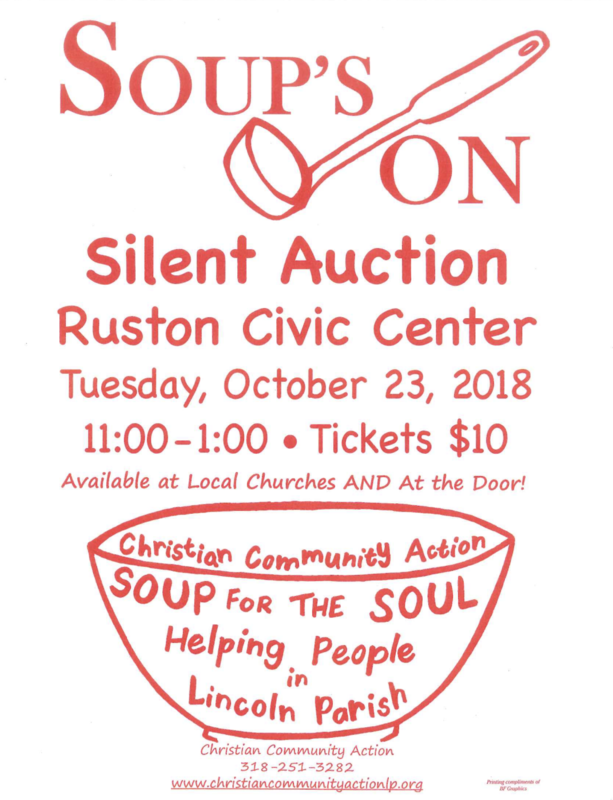 at: The Children's Shoppe 109 North Trenton Street Ruston LA Friday, November 2, 2018 Proceeds will benefit Christian Community Action please come out and learn more about CCA while you Shop for a Good cause! Called CCA Board Meeting At CCA Monday, June 25, 2018 12:30 p.m.